Please, please, PLEASE don’t read connecting gate information! This is something I’ll never understand. Case in point, my flight this morning from San Francisco to Chicago. I was on the 747 that runs that route in the morning, and had a great upper deck window seat. 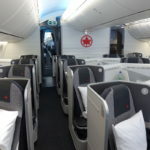 This was by far the best non-international first class flight I’ve had in… ever! Why? I usually can’t sleep unless I have a flat bed, but I managed to get a solid three hours of sleep on this flight. I was out literally three minutes after takeoff, and was hoping I’d wake up to the “flight attendants, prepare for landing” announcement. But thanks to the chatty purser (he actually referred to himself as “chief purser”), I was woken up about 20 minutes earlier than I had hoped. Why? Because he liked hearing the sound of his voice, and decided it would be helpful if he read the connecting gate information. First of all, when a flight is scheduled to arrive 20 minutes early, I don’t get the point of this. How long does it take to check the monitor in the terminal? Six seconds? Besides, they always end the announcement by saying that we should check the monitor in the terminal anyway since gate information can change. But usually it’s not that bad, it’s just a dozen flights they read off. But I guess since this was a 747, people were connecting to just about everywhere. So for six minutes (I timed it) the purser rattled off connecting cities and gates in a generally hard to follow way. Not only does this interrupt those of us trying to sleep, but it also interrupts those trying to watch movies, listen to the audio, etc. I know you love the sound of your voice, and maybe your intentions are actually good, but it really isn’t necessary. Give me my miles, Chase/Continental! I especially enjoy it (in a masochistic sort of way) when the FA reads the info backwards — gate number first, and then destination, forcing anybody listening to pay attention (and store in short-term memory) each and every gate number announced. most of the time it is no different than what printed at the BP or what the gate was a check-in. only about 100% of the time is it wrong in ORD. I was waiting for your complaint to be about having an onward connection back to California being announced to all. I am ALWAYS much happier to have the Purser read the connecting gate information to me, even if the flight is landing early. It helps me a great deal with making my connections to the next flight. Doing this also seems to help passengers exit the aircraft more calmly/patiently. Man, I couldn’t agree more. This is certainly my pet peeve, too. I don’t actually NEED to know connecting gate information. But I do LIKE to know if I’m headed to a different terminal or concourse. Will I know in a minute? Sure. Do I enjoy knowing a minute earlier? Yes. Would I miss it if I didn’t know? Not at all. But I just wish United would do a decent rollout of Wifi and then I could check my connecting gate information myself! I agree that it’s annoying (particularly if it interrupts my enjoyment of Ch. 9), but I have to give them credit for at least trying to provide additional customer service. I always enjoy and get a good laugh out of the FAs that do this but cannot pronounce any of the cities correctly or try to sound it out totally wrong. 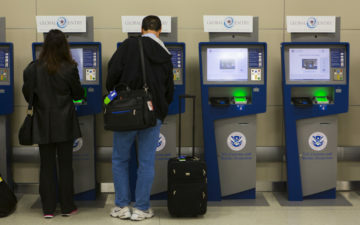 I do feel they are trying to add some additional ustomer service and it may help calm the nerves of those people who are not frequent travelers like most of us here that have to connect to another gate. I like connecting gate information, especilly if I need this info, and especially if my connection is tight. I also enjoy finding out where my fellow flyers are heading to. 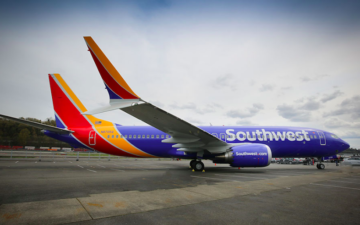 And who doesn’t like hearing this bad news… we’re parking at B1, and the connectioning flight departs from C29. Being based in ORD, half of my flights have a long, long list and I hate this. Seems like half of the plane is just coming back home too, so a bunch of disturbance for very little “help”. Guess it wouldn’t bother me so much if they completed it in one minute, but yeah, it’s often slow with hesitation. How about posting it (or the WIFI)? Ha! I was sitting at the next gate over this AM and watched this flight board. Interestingly enough, after they shut the door a passenger came running up screaming how could this flight leave without him… I thought they would call security. What a great way to wake up at 6:30am!! Announcing flyers connecting gates is really only necessary when a flight is running very late and caused major delays for flyers. 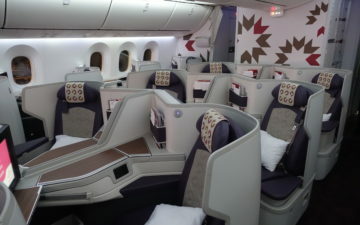 The FA will usually request passengers to stay in their seats upon landing so those with tight connections can quickly leave the plane. For your flight, there was no reason to make this announcement. I believe the FA was trying to be helpful, so I probably wouldn’t be to critical. However, passengers should be cautious about the accuracy of the connecting gate information given by FA. It can change within minutes! In July I had a very tight connection at IAD going onward to LHR. Before landing at IAD, I told the FA about my concern of not making the LHR flight. He was nice enough to check the departure gate for me and hold off other passengers so I could be the first to deplane. Once inside the terminal, I ran toward gate C25. Not far down the road I saw a big monitor, so I stopped to double-check my flight. It had been changed to gate C6! So I immediately turned around and started running in the opposite direction. The boarding process for LHR was near the end, but I did make it. Please always check the first big board you see once you are inside the terminal. As a compromise, why can’t it always be read aloud once on the ground while taxiing to the gate? There’s no need for 6 minutes of rattling on. I personally like the connection information. Not for my own connecting flight, but knowing where everyone else is going. Most pursers seem to be good with their pronunciations. But I was shocked at an FA into DEN who announced the connecting gate for “Minnow”… also known as Minot, ND! She even weirdly placed the emphasis on the second syllable, like Kylie Minogue. You were the guy who sat in 1B on ORD-TPA A320 on 18th, weren’t you? and you connected from SFO-ORD 54 sitting on the upper deck. I was on the same flights doing an MR, and I thought it might be you with your famous TPA-SFO run and all. I was sitting in 2B ORD-TPA sleeping through most of it.